Thanks @Hens and Roos! It just seems like things keep coming to try to get me down. I’m fighting back! CntryBoy777, Devonviolet, B&B Happy goats and 3 others like this. CntryBoy777, B&B Happy goats, Latestarter and 1 other person like this. I figured someone would give me grief over the tree. CntryBoy777, Devonviolet, Rammy and 1 other person like this. So sorry that things just keep getting you down. Keep your head up, be strong and hang in there. CntryBoy777, Rammy and Hens and Roos like this. CntryBoy777, B&B Happy goats, RollingAcres and 2 others like this. All our Christmas decorations (tree included) are still up from last year. Outside lights look a little rough...one string hanging down in a flowerbed, but no one but me ever sees 'em anyway. CntryBoy777, Mini Horses, Wehner Homestead and 1 other person like this. Is your Wonder Woman suit washable or do you have to dry clean it? 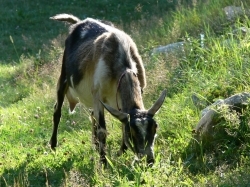 CntryBoy777, B&B Happy goats, Wehner Homestead and 2 others like this. I wish I had super powers!! In other news, DH has been working on a combination electrical and water project. Yes, I’m well aware that those two don’t mix well. It also answers lots of questions. Two years after we moved here, we started having voltage in our livestock waterers that we put heaters in. Testing showed extra voltage. (I don’t understand all of it so please don’t think I have all the details accurate.) Either way, DH drove extra ground rods and even had the electric company try to solve the problem. No luck. Problem seemed to be with just the plug in heaters. Lots of frozen waterers! The buckets that are heated were fine though. That’s electrical live wire running right next to the hydrant and through standing water. Needless to say, the source of the extra voltage had been discovered!! What should’ve been a pretty quick project just turned into a nightmare. DH and FIL have worked on it after work all week. We now have a spigot inside the barn so we don’t have to go out in the weather to turn it off/on and when we have freezing rain, it won’t be frozen in the off position. The electrical was repaired properly with heat shrink and moved as far from the water line (and bleed? Valve) as possible within the work area. I don’t have any of the finished project but it is done. I’m so glad they found and fixed it before someone got hurt. We use that hydrant for the hose that the kids play in all summer!! CntryBoy777, Devonviolet, B&B Happy goats and 2 others like this. Went to NAILE (North American International Livestock Expo) yesterday. Great time as always. It’s a yearly tradition. Mounted shooting competition while eating ice cream! There were three male and one female contestant. The female was the only one to hit every target and won! We also saw some hitch competitions. I don’t know much about them but the kids were enthralled by the horse with the long tail! Watching the beef cattle show! CntryBoy777, Devonviolet, Latestarter and 6 others like this.